We were in the kitchen this evening when hubby called out, "Look!" 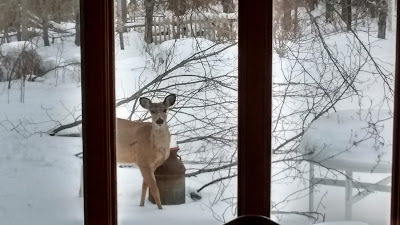 The cheeky white tail deer nibbled a bit at the fallen maple tree branch, then sauntered off. But not before having a good look through the window. And to think I said only yesterday that we hadn't seen many deer this winter.